Professor Wrights received her Bachelor’s Degree in Athletic Training from Messiah College and her Master’s Degree in Health and Exercise Science from Wake Forest University. She is a Certified Clinical Exercise Physiologist through the American College of Sports Medicine. Professor Wrights teaches Health and Exercise Science 100: Lifestyles and Health. 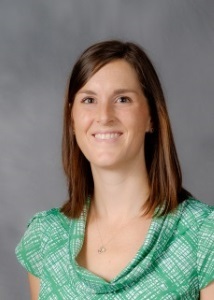 Additionally, she assists with the supervision of the HES Graduate Students in their teaching roles. Previously at Wake Forest, Professor Wrights worked as a Research Interventionist with various studies including the Lifestyle Interventions and Independence for Elders (LIFE) Study funded through the National Institute on Aging. Wrights, AP., et al., Assessing Physical and Cognitive Function in Older Adults in Continuing Care Retirement Communities: Who Are We Recruiting?”. Contemp Clin Trials, 2015. 40: p 159-65. Marsh, AP., et al., The Virtual Short Physical Performance Battery. J Gerontol A Biol Sci Med., 2015. 70(10): p. 1233-41. Rejeski. WJ., et al., The Lifestyles Interventions and Independence for Elders Pilot (LIFE-P): 2-Year Follow-up. J Geronto A Biol Sci Med Sci, 2009. 64(4): p 462-7.